The Gold Rush era and it’s tales of fortune and misfortune continue to intrigue me. When I see those haunted faces staring out from old photographs, I find myself wondering at the life stories behind their expressions of defeat. Of course, not all images convey a dismal fate. Some are filled with round faced optimism and celebratory expressions. 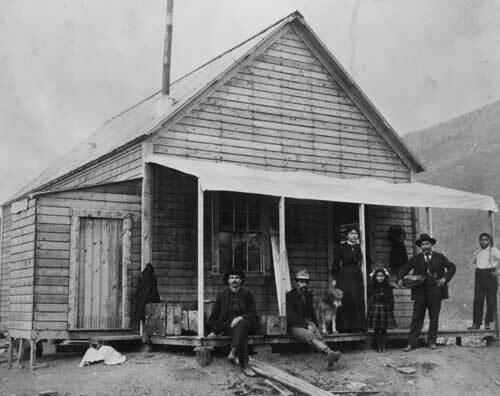 The discovery of gold at Rabbit Creek that initiated the Klondike Gold Rush was made by on a family outing attended by four people — Jim Skookum (Keish), Dawson Charlie (Kàa Goox), George Carmack — and Kate Carmack . That a woman was named in this party, intrigued me, and I grew curious about her fate. Did Kate live a rags to riches story? Was she affected by her gender and First Nations heritage? Shaaw Tláa, or Kate as she would later be known, was born to the Wolf Clan of Tagish Lake between 1857 and 1862. American George Carmack was already friends with her brother Jim, when he arrived at her village. He found Kate grieving her husband and young daughter who’d been recently taken by an influenza epidemic. Carmack had deserted the US Marine Corps to live among the Tagish. His contemporaries adhered to the popular school of belief that marriage to native women could advance their interests. Traders and prospectors needed the women’s familial trade connections, knowledge of the area and their language skills. He invited her to follow him to Dyea where they lived common law. There followed of a string of failed or moderately successful ventures that Kate supplemented by selling handmade moccasins to miners and traders. In 1893, Kate gave birth to their daughter, Aghay, later known as Graphie Grace. It is interesting to note, that when George wrote home, he told his family that Kate was Irish. In 1886, George and Kate moved on from a trading post they’d operated to an area where Klondike River crosses into Yukon. They were joined by her brother, Jim Skookum and her cousin, Dawson Charlie, on a prospecting expedition to Rabbit Creek, later known as Bonanza Creek. And the now infamous discovery was made. Some accounts claim that it was George who made the find and others indicate that it was Jim. There are versions that tell about how Kate came across the first gold nugget while fishing for salmon and caring for the Graphie. Once the gold was found, the hasty registering of the claim was imperative. It was agreed that Kate’s husband should register the claim. The group worried that claims made by First Nations people may not be respected by mining authorities. Oral histories of some First Nations people tell that George lied to Kate and her family, telling them that native peoples were prohibited by law from staking claims. He was known in some circles as Lying George for the exaggerated falsehoods he told about the success of his claims. At Skookum Jim’s house in Carcross, ca. 1899. 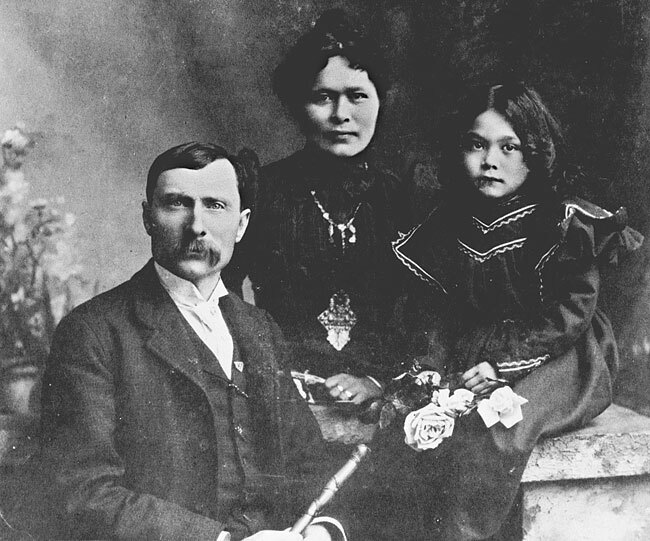 L-R: unidentified miner, George Carmack, Mary Mason and Daisy (Skookum Jim’s wife and daughter), Skookum Jim and Patsy Henderson. YA, Dave Bohn coll. 83/102 #4, PHO 21. I set out to understand the social and political backdrop that Kate lived against. With the surge of gold seekers to the Yukon, the native peoples were in great flux. Miners staked claims on their lands. Once rich food resources were being depleted by the sudden and sharp rise in population. Native populations were not looked upon fondly, even the Northwest Mounted Police. “The police saw the First Nations people as undesirable neighbours, squatters on officially surveyed land.” (Jody Beaumont & Michael Edwards). First Nations men were allowed to vote since the time of Confederation, 1867 — but only if they gave up their “Indian Status” and treaty rights. Women of the Yukon were granted the vote in 1919. 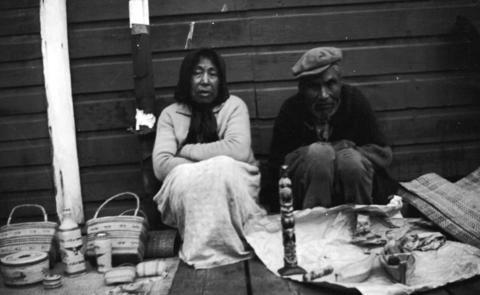 It was not until 1960 that native peoples of Canada could vote free of such conditions. In 1899, the Carmacks left the Yukon. During a brief stay in Seattle, Kate drew unwelcomed attention by performing a War Dance in a hotel lobby. Police were called and she was fined $3.60. It was a regrettable event that would cost her dearly. Carmack brought Kate and their daughter to his sister Rose’s ranch near Hollister, California. He abandoned them there, and two years later, married Marguerite Lamee (also known to the Royal Mounted Canadian Police as Biddy McCarthy). With financial assistance from George’s brother, Kate was able to return to the Yukon. She lived the remainder of her days in a simple cabin, surviving on income generated by a small pension and the sale of handcrafts. Kate died of influenza, March 29, 1920, in Carcross, Yukon. Despite the 2 million dollars generated by the discovery of gold at Rabbit Creek, she received a meager $500. The historical and social contexts woven into the twists and turns of Kate’s life similarly impacted the lives of so many women of the Yukon and First Nations people of this era. Their worlds changed rapidly and not necessarily in kind ways. I know that, in the future, I will write a story influenced by what I am learning about the Klondike Gold Rush era. For now, the narrative and the characters patiently wait to reveal themselves. Do you have a question? A comment? An opinion? Thanks for sharing Gwen, another great story of a ‘hidden’ woman. Always glad to see interest in Kate’s story! I’m wrapping up a book on her life, set to come out early in 2015. (You can read more at http://www.klondikekatecarmack.homestead.com). It’s taken three years of research from California to the Yukon to sort through all the facts – so much has been misrepresented. One important note: the photo from Vancouver is not actually of Kate. I’ve found a few of these in various archives….Kate was well-known in her day, and many claimed to have captured her image when in fact their photos are of other Native American/First Nations women. Deb, I’m so glad you wrote to point this out this discrepancy. I will be keeping an eye out for your book. 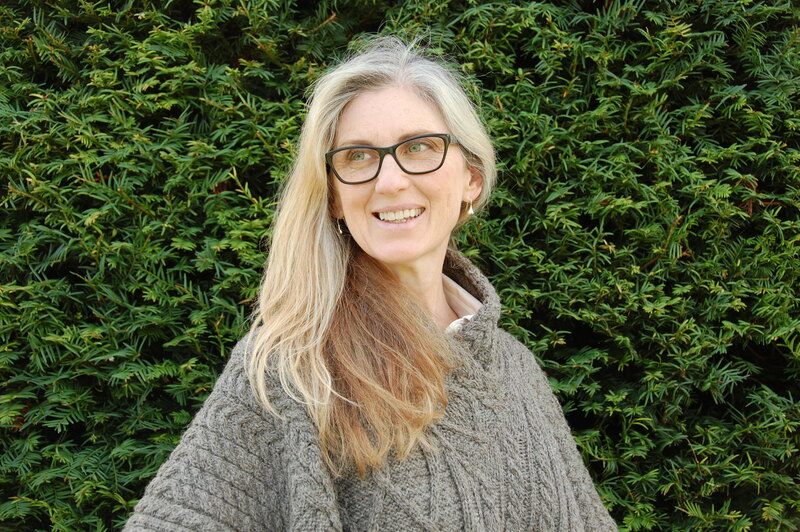 By chance, will you be publishing a photo of a mature Kate? Now I’m curious. Thanks, Gwen. Here’s the photo of Kate late in life that checks out with my sources: http://www.tc.gov.yk.ca/archives/nothing/gold/discoverers2.htm. It was taken by Matthew Watson, who owned the general store in Carcross. A respected Tagish elder whose mother knew Kate well verified that this photo is authentic.